This commercial premises at Main Street, Carrick-on-Shannon offers an ideal trading position. A number of properties in the Carrick-on-Shannon area have come onto the property market with Farrell Property Group. A superb Commercial Property located in the heart of Carrick-on-Shannon with a gross area in excess of 4,000 sqft and net internal space of circa 3,700 sqf/344 m2 over two, open plan floor plates. Excellent profile and frontage onto Main Street, adjacent Lena's Tea Rooms, florists, Bush Hotel, etc. Direct vehicular access from public street to rear of premises to a large, linear parking area. A terrific opportunity to acquire and invest in probably one of the finest commercial spaces in Carrick-on-Shannon presented in 'turn-key' condition. Ideal trading location, investment or pension investment. This two storey detached home is situated in a very desirable location in the town centre, yet enjoying the privacy of a long-established quiet estate of detached houses with a large well maintained central green (Shannon Lodge Residence Association. All of Carrick’s many amenities right at your door step ! A rare opportunity to acquire a mature residence in this most sought after residential location. 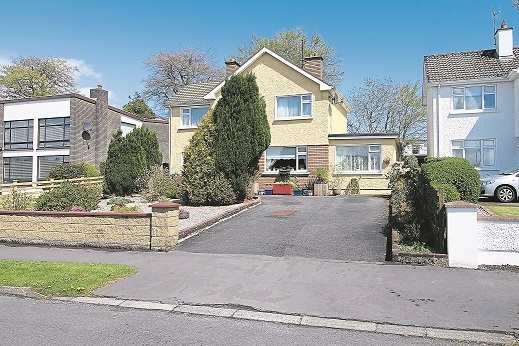 A very well maintained and presented, 3 bedroom home just on the outskirts of Carrick-on-Shannon and within easy walking distance of medical centre, pharmacy, creche and all town facilities. The Paddocks is a small & established residential address and offers excellent value for first time buyers or investors. For sale in 'walk in condition' ! Please call Liam Farrell of Farrell Property Group for more information or to arrange a viewing. You can call to Carrick Retail & Business Park, Carrick-on-Shannon, Co. Roscommon, Ireland.